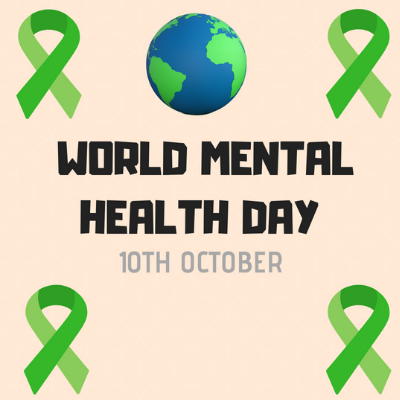 As tomorrow is World Mental Health Day, it is important to look at your stress levels in work and how this is affecting your everyday life. The workplace for many people is a place of community, self-achievement and security, but for many other people it is a place that contributes to stress and a negative effect towards their mental health. More than a third of corporate employees report that the stress in their current job has caused them to consider changing jobs or careers, and that one in five have missed work in the past year because of stress, anxiety or depression. Over the last number of years in Ireland, there has been a growing feel that people need to take more care of their mental health. The growing figure of people having a more positive attitude towards improving their mental health is not always straightforward. 50pc of people surveyed feel they must disguise the stress they feel at work in order to maintain their career prospects. This figure is extremely high, so it is clear that while progress is being made, there is still a lot to do when it comes to tackling mental health issues in Ireland, especially in the workplace. Many people do not realise the importance of sleep and being severely sleep-deprived can add to our stress levels. We need seven-and-a-half to eight hours sleep a night and keep devices out of the bedroom because the blue wavelength light instructs the brain’s pineal gland to shut down melatonin production – melatonin is crucial to help us to get to sleep and to enjoy good quality restful sleep. Try avoiding sitting at your desk for 8 full hours. Moving around during the work day is as important as exercise. Whether it is standing up for a couple of minutes, or walking to the water cooler, be sure to get up from your desk every half an hour to 50 minutes. Starting your day off in the right way contributes to how stressful your day can be. Starting your day off with a good nutritional breakfast, planned morning and a positive attitude towards the day, you may discover that your day goes a bit more smoothly and you get less stressed. Exercise is good for your overall health, but it also helps with reducing stress and has a positive effect on your mental health. Exercise pumps up your endorphins which makes your brain feel-good. Exercise improves your mood which results in lower symptoms that are associated with anxiety and stress levels. Listening to meditations or music has many benefits which include relieving stress after a day in work. It can relax you after a stressful day at home and prepare you for when you arrive home and interact with people. Looking after your mental health and stress levels at work is so important and something we should all try and do. Taking on these small simple steps can have help reduce your stress levels at work and have a positive result on your mental health.